Appspace App in Interactive mode. Set the Remote.Enable player property to True on the Appspace App device, for network commands to function. Refer to Managing device properties and Device property dictionary. For MediaVue SureVue devices, the firewall must be disabled for network commands to function. For BrightSign devices, UDP is supported. 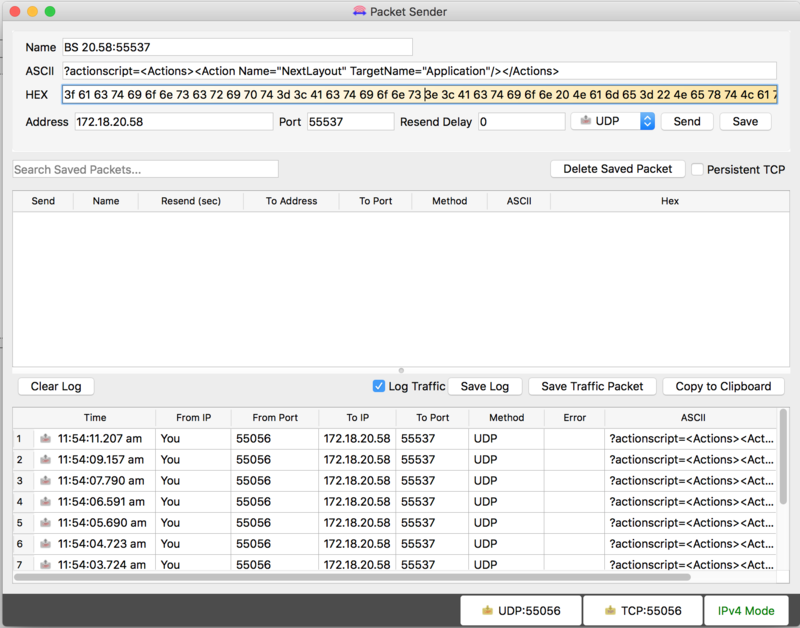 To execute network commands, you must connect to the Appspace App via a WebSocket protocol. The required port for Appspace App is 55537. Executing system commands results in the Appspace App restarting, thus port 55537 must be opened again after the restart. This however does not apply when unregistering the Appspace App. Listed below are the network commands for channel specific functions. 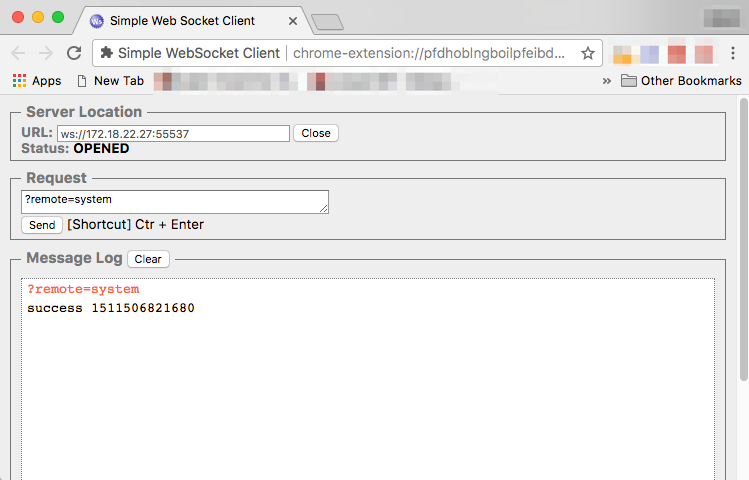 You may test invoking network commands to your Appspace App device by installing the Chrome extension Simple WebSocket Client or Dark Websocket Terminal from the Chrome WebStore. Enter the command line in the ASCII field, and click the HEX button, which will auto generate the Hex codes based on the ASCII Data.